Fred C. Riedmann Sr., Smithfield, Pa.
Fred C. Riedmann Sr., 91 of Nicholson Township, Smithfield, Pa. passed away peacefully on Monday, January 21, 2019 in the Uniontown Hospital. 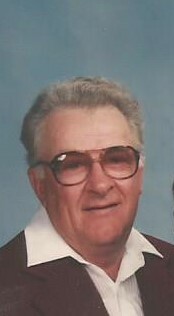 He was born February 28, 1927 in Nicholson Township, Pa. the son of Joseph and Theresa Riedmann. Preceding him in death were his parents; wife of 64 years, Margaret (Sadler) Riedmann; infant son, Gregory Allen Riedmann; sisters, Myrtle, Anne, Mary, Margaret and Sophia and brothers, Ed, Vince, Joe, Frank and Carl. Surviving are his children, Fred and Barb Riedmann, Mark Riedmann and Brenda and Stephen Hancheck; grandchildren, Berlina and Eric Greenawalt, Stephanie and Terry Jordan, Stacey Hancheck, Mark and Lauren Riedmann, Leandra and Vic Dirda and Matthew and Jawcie Riedmann; great grandchildren, Braden, Dylan, Lucas, Colin, Dexter, Millie and Caroline; sisters, Elizabeth French, Freda Metz and Theresa Dunham; brother, John Riedmann and many nieces and nephews. He was a U.S. Navy World War II veteran. Fred retired from Shanopin Mining Company in Bobtown, Pa. after 42 years of employment with UMWA Local 6159. He was a proud member of the United Mine Workers of America. He was a lifetime member of SS. Cyril and Methodius R.C. Church in Fairchance, Pa.
Fred enjoyed hunting, fishing, gardening, trapping and his Polka music and was a big fan of the Pirates and Steelers. The family will greet friends and family in the Dean C. Whitmarsh Funeral Home, 134 West Church Street, Fairchance, Pa. on Wednesday from 7 to 9 p.m., Thursday 2 to 4 and 6 to 9 p.m. and on Friday, January 25, 2019 until 9:30 a.m. when Prayers of Transfer will be said. The Funeral Mass follows at 10:00 a.m. in SS. Cyril and Methodius R.C. Church, 50 North Morgantown Street, Fairchance, Pa. with Rev. Gade Show Reddy as Celebrant. Interment will follow in Mount Moriah Baptist Cemetery, Smithfield, Pa.
A special thank you is extended for all the loving care and compassion for our Father to Dr. John Chalfant and his caring office staff; the Uniontown Hospital Intensive Care Unit, especially to Dr. Schmidt, Dr. Stokes, Joyce and Scott and the 3 West Unit; Masontown Senior Center for the Meals on Wheels; Amedisys Home Health; the Uniontown Health and Rehabilitation Center for previous caregiving and to Janie Oglevee for keeping his hair so perfect as he liked and for her friendship.